Many teachers consider this collection to be something like the ideal first reader. 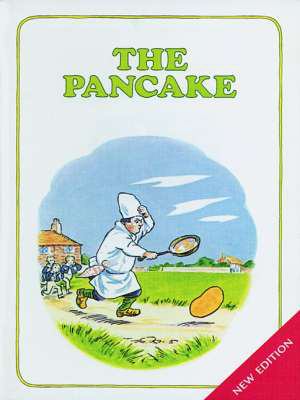 Apart from The Pancake itself, the book contains ’classic’ stories that have been among the favourites of generations of children in English-speaking countries around the world. – From its first appearance in 1922 until 1990, The Pancake was reprinted no less than seventy-three times. – There are three features that make this reader particularly attractive: the very ’juicy’ language, full of repetitive rhythmic elements that help our children to get into reading fluently very soon, the delightful illustrations in full colour throughout the book offering endless opportunities for description and conversations, and – the book is printed in very large, easy-to-read letters. – New, revised edition 2002, with exercises.